Finding a great location to photograph and being there at the at the right time is the goal of anyone interested in getting great landscape images. Being there with a wonderful group of people that share the same passion and enthusiasm as you is priceless. That is exactly what happened last weekend when a group of Friends of Arizona Highways traveled to northern Arizona to take advantage of the full moon. 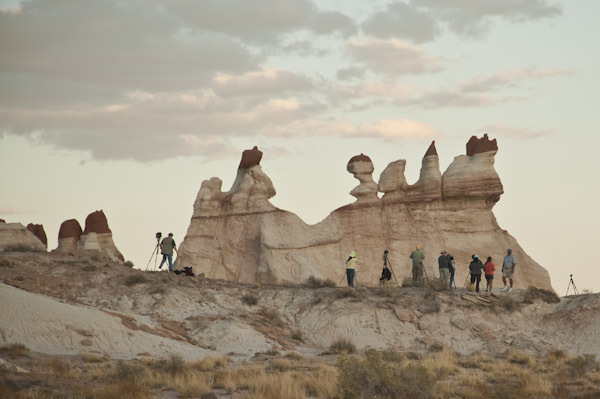 The group photographed the moon rise at Blue Canyon in the Hopi reservation and moon set at Coal Mine Canyon in the Navajo Reservation. The group was lead to the locations by Arizona Highways Magazine regular contributor Leroy Dejolie.